Choosing to purchase a sportfishing yacht – whether it’s your first or third – is a very detailed and exhilarating experience. When entering the market for a new boat, you need a reliable, professional and honorable team of individuals to help guide you through the process. First off, what kind of yacht fits your needs? The experts at MacGregor Yachts have compiled some key points to help you make the right decision between a custom-built or production sportfishing yacht. Production yachts are built in masses, providing you with a “boatload” (for lack of a better pun) of makes and models for you to choose from. In contrast, custom yachts are unique in that they are personalized from buyer to buyer with only a handful of lengths, models, and types available. The vessel that you prefer depends upon many different options, but it all comes down to one question: Do prefer a one-of-a-kind, built to your specifications model or a generic and universal model? 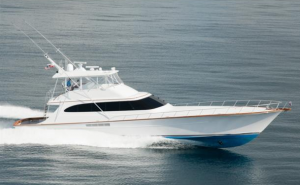 Purchasing a production sportfish yacht can be a speedier process and can be yours right after purchase. You can customize a few variables for production sportfish yachts, but these customizations will be very limited. A custom yacht is a highly personal purchase. Whatever your wish may be – from engine power to unique woodwork and interior finishes, to hull performance or the ultimate fishing platform – these options can be granted through careful planning and attention to detail. You will work with a team of expert professionals from start to finish to create your quality piece of art that is exclusive to you and your sportfishing or luxury needs. We like to think of it as purchasing a Rolls Royce vs. a Mercedes Benz. Both are a great product, however, the attention to detail and quality of a RR is going to outweigh and outlast its mass-produced luxury vehicle competition. A team of highly specialized and talented individuals will be by your side to help create the various aspects of your custom sportfish that will make it specialized to you and your yachting preferences. Dimensions, deck layout, arrangements and other components are all personalized by your preference. This level of customization is not produced overnight. It can take anywhere from 2 to 4 years of assembly time to take delivery of your custom yacht and some custom builders have lengthy wait lists to begin production. To customize just about anything on a new sportfishing yacht, you can expect the price to be inevitably higher. The price will heavily depend on the size and the degree of customization – it all weighs heavily on what is important to you. A custom built yacht is a highly personal purchase that may accompany a higher price point. Without complete customization in mind, production yachts may have a lower price point with the ability to make minor changes. These values remain true in terms of resale value. 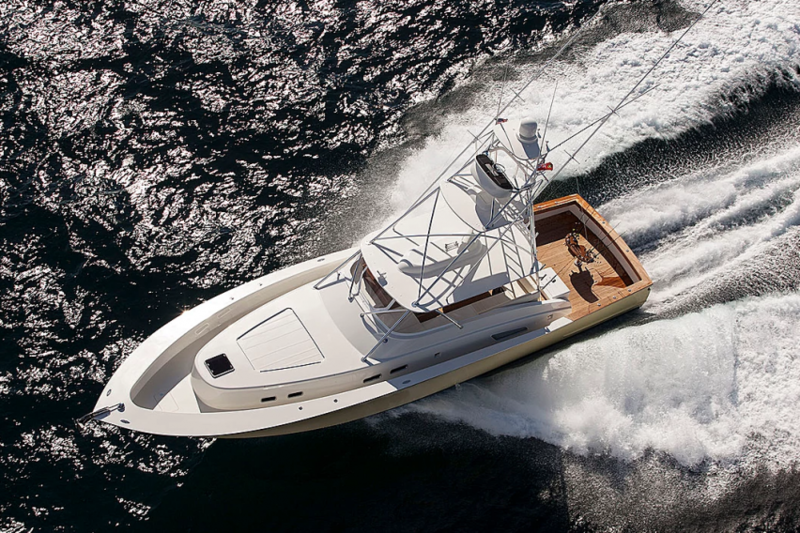 Custom sportfish yachts can hold their monetary worth much longer than production yachts. So if you’re in the market for a new yacht, decide if there are any aspects of your new vessel that you cannot live without. Taken off an assembly line, production yachts provide great value with some customization sacrifices. However, building a custom yacht exclusive to you, now that is priceless. Regardless if you’re in the market for a custom or production yacht, partnering with the right broker is always the most important aspect. 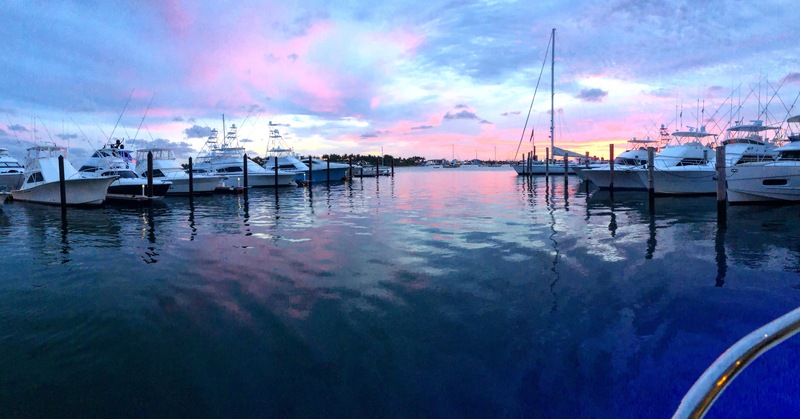 At MacGregor Yachts, we pride ourselves on our passion, expertise, and quality of service. Our team will be with you every step of the way to create the unique and satisfactory experience that every client expects and deserves. Call us today at (561) 799-6511 or contact us by clicking here.